Nearly 100 Christians were arrested as the paranoid Eritrean government cracks down on unapproved churches outside the four approved religious denominations. The arrests resulted from door-to-door interrogations, accusations from neighbors, and even the disruption of a post-wedding gathering. The four allowed religious denominations in the country are Sunni Islam, Orthodox Christian, Catholic Christian, and Evangelical Lutheran. 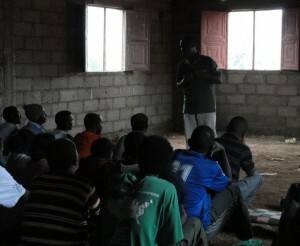 But the Eritrean government still seeks to have a vice grip of control over even the approved denominations. 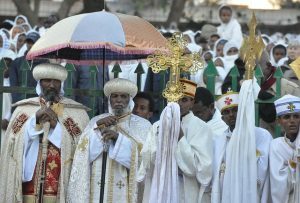 In 2007, political authorities went so far as to depose the Patriarch Abune Antonios of the Eritrean Orthodox Church. He is still under house arrest 10 years later, and friends and family worry that his health may be failing without proper medical care. Antonios had upset the government when he refused to “excommunicate 3,000 members of the Medhane Alem Orthodox Sunday School revival movement, and demanded that the government release imprisoned Christians accused of treason,” according to World Watch Monitor. This move by the Eritrean government violated the Orthodox Church’s constitution. Antonios is still recognized by Eritrean Churches in Diaspora and by Oriental Orthodox Churches as the rightful EOC Patriarch. So if that’s what the Eritrean government does to prominent leaders of approved denominations in the country, the fate is harsher for Christians who meet outside the approved denominational churches. Eritrea frequently commits human rights violations like this, and thousands continue to flee the country. But with nearly half the population unreached with the Gospel, Christians are still witnessing their faith. “People have to be extremely careful of how they practice their faith, who they share their faith with, because if they get discovered, it means one of these horrific situations like these storage container prison camps,” says Fuentes. Click here to go to the Eritrea country information page at Open Doors’ website! To sign the petition with Open Doors USA, click here.